Napa Valley's wine industry suffered $80.3 million in damage from the 6.0-magnitude earthquake last month, according to a report being Tuesday to the Napa County Board of Supervisors. The report was prepared by Silicon Valley Bank's Wine Division, an expert in the wine industry, Napa County spokeswoman Molly Rattigan said. The damage estimate is a conservative figure that is likely to increase as more damage is discovered and reported, Rattigan said. Rene Schlatter and his crew at Starmont Winery and Vineyard have been working non-stop the past two weeks to repair the damage by last month's quake. 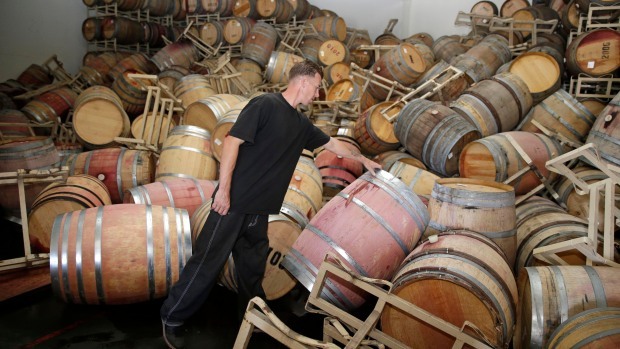 The temblor made a mess of his barrel room and damaged a good portion of the winery's 12,000-gallon tanks. "It's been a challenge for sure," Schlatter said. The Aug. 24 quake that struck near American Canyon caused an estimated $400 million damage in the county, she said. 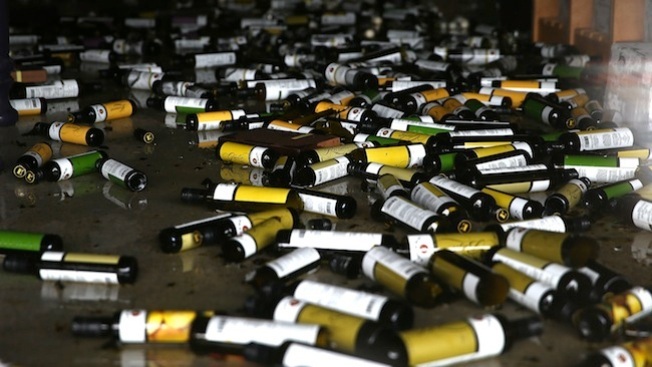 Silicon Valley Bank estimated 60 percent of Napa County wineries sustained some degree of damage and up to 25 percent of them suffered moderate to severe damage. Losses varied between $50,000 per winery to $8 million in the most devastating circumstance, Rattigan said. Most of the damage was in the southern and western areas of Napa County and at businesses in the city of Napa, Rattigan said. Businesses supporting warehousing and shipping at the epicenter of the earthquake sustained significantly lower damage than would be expected, Rattigan said. The greatest damage was sustained in the Napa, Mount Veeder, Yountville and Oak Knoll areas of the county. Silicon Valley Bank's assessment includes a plethora of losses, from damage to buildings and infrastructure to lost revenue in tasting rooms and cleanup and removal costs, Rattigan said. Also included in the $80.3 million damage estimate are losses to stand-alone vineyards that sustained loss of revenue from a delayed harvest, machinery, supplies, and infrastructure. On Monday, the American Red Cross announced it was closing its earthquake shelter at the Crosswalk Community Church in Napa after a total of 436 overnight stays in the past two weeks.